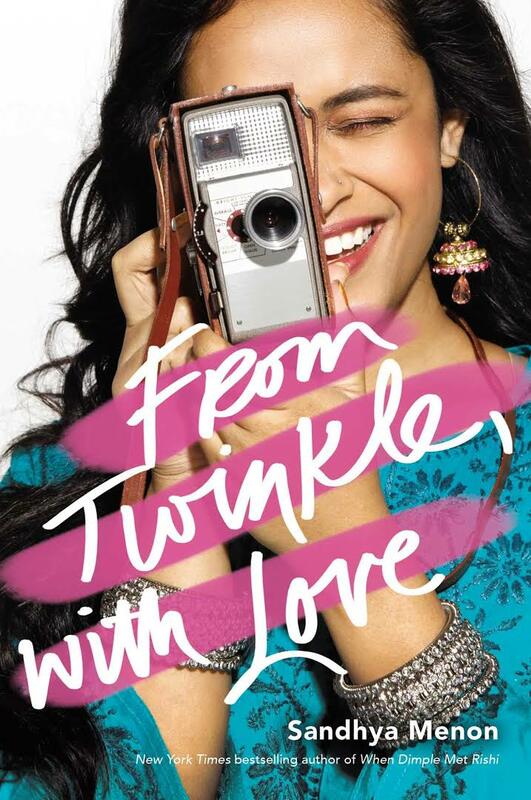 From Twinkle, With Love cements Sandhya Menon as one of my MUST read YA contemporary authors. No sophomore slump here. Also, can I put the caveat on this review, that if I hear you complain about names like Twinkle or Dimple, I will write you a strongly worded letter and follow you around with a bell yelling SHAME SHAME SHAME. I have been SOOOO stressed out by a million and one things. This book though, it is just what the doctor ordered. While reading it, I could feel myself finally relax and get lost in Twinkle’s letters. So, from what I can tell, From Twinkle, With Love isn’t a spinoff of When Dimple Met Rishi. Maybe they’re connected but I wasn’t being observant? That actually is very possible. Anyways, you do not need to read Dimple to understand what is going on in this book. Still, I highly recommend you read Dimple regardless because that book is also pure excellence. This book follows Twinkle Mehra as she longs to stop being what she has deemed a “groundling” and to be one of the elite kids at her school, a “silk feathered hat.” Mainly she wants this because her best friend Maddie is suddenly popular and distant from Twinkle. She thinks that she can accomplish this by dating her crush, a swimmer named Neal Roy. Lucky for Twinkle, she begins getting emails from a secret admirer who goes by N. She thinks it is Neal. OH and throughout all of this she begins making her first film for the Midsummer Night Festival at school with the help of Neal’s twin, Sahil. At this point, Twinkle is falling kinda hard for Sahil WHICH IS OUR DILEMMA. There’s a lot to love and like about From Twinkle, With Love. For example — Twinkle doesn’t come from an upper middle class family. Her parents struggle with money. She doesn’t have a cell phone. I LOVED that. As someone who also doesn’t come from an upper middle class family (read: poor), I loved this portrayal. I am so sick to death of the cliched picture that can be painted of poor people when I read YA books (ie parents not together, parents who don’t work, parents on drugs etc) and this book knocked that piece out of the park for me. It was up there with Ramona Blue for that aspect. I also loved how Twinkle finds her footing and her voice as a filmmaker — mostly independently. Then there’s the romance! It is SO sweet! And supportive! And okay kind of drawn out — but that is with good reason. I do think that this book reads a little younger than Dimple but ya know, nothing wrong with that. I think this is the sort of book that just makes you feel happy and good at the end. The character you cheer for the entire time has all these chips that fall into place and I love it. Read this book when you are feeling down. Read it when you want something to fill your heart with joy.